Tauer Perfumes has done citrus fragrances before, most notably with Orange Star (2010) and Cologne du Maghreb (2011). Based on the name, I thought the newest, L'Eau, might be the first Tauer riff on a citrus classic cologne for hot summer days, but no, that's not what it is. It is about citrus — it was reportedly "inspired by a lemontree in bloom on Andy Tauer’s veranda in crisp Zurich morning air", and the notes follow suit: bergamot, lemon, orange, lemon blossom, iris flowers, musk, ambergris, timber and sandalwood. And L'Eau does start with a nice sparkle of lemonade, and it does start bright and cheerful. But L'Eau has more heft than you'd expect from a classic cologne, and the "classic" citrus sparkle / juiciness is short-lived, as L'Eau moves quickly into something more modern and diffuse. The lemon does linger for awhile, as something that isn't exactly soapy, but that is just lemony-clean enough to remind me of lemon soap all the same, although there's also a sprinkle of sugar — candied lemon peel, maybe? It's layered over a sheer woody / ambery skin musk, very pale, with an almost-chalky, almost-creamy finish. It's crisp and fresh early on, warmer later, but stays clean straight through. It never quite crosses the line into laundry detergent, but it flirts with the idea. As advertised, L'Eau is perfectly unisex. It is light but has decent sillage and lasting power. Our current weather conditions allow me to confirm that it wears quite nicely in extreme heat, and it might have just enough warmth in the base to be the sort of summer-y citrus that you could wear as a pick-me-up on a cold gray day in December. Verdict: It's natural that perfumistas tend to develop affinities for particular fragrance brands, as a way of weeding through the clutter, and Tauer Perfumes is on my short list of brands that never disappoint me. The reason is simple: as near as I can tell as a consumer, Andy Tauer makes what he likes and doesn't worry so much about the many other considerations that drive fragrance brands, niche and mainstream. I don't love everything he makes, but the ones I love I really love, and the ones I don't, well, I strongly dislike some Tauer fragrances but he's never made a fragrance yet that made me roll my eyes. L'Eau is a "don't love" — it's a shade too clean for my taste — but true to form, I did not roll my eyes, and I highly recommend that you give it a shot. 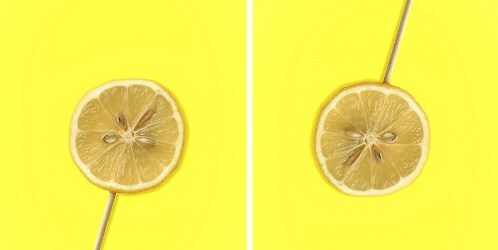 If you want a modern lemon-y cologne and you don't love L'Eau, you could try Serge Lutens L'Eau Froide, although that one did make me roll my eyes a little, or Comme des Garçons Series 8: Energy C Lemon, although that one is awfully short-lived, or Atelier Cologne Citron d'Erable, if you like syrup with your lemon (and if Atelier Cologne doesn't automatically make you roll your eyes). And do please add your own recommendations in the comments! 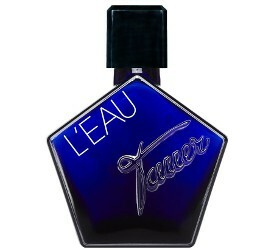 Tauer Perfumes L'Eau is available in 50 ml Eau de Parfum, $135. For buying information, see the listing for Tauer Perfumes under Perfume Houses. Note: top image is Lemon lollipop (for Dogwood2017 | Week 6) [doubled, rotated and cropped] by Sterver ∓ at flickr; some rights reserved. I loved Cologne du Maghreb, it’s a shame it never became a regular offering. I hesitated for too long until it was no longer available. I will happily give L’Eau a chance if Andy is so kind to send me a sample (I don’t buy samples anymore these days) or if I can find it in any store around here. Then you might love this one. I am not a huge fan of Atelier either. Would LOVE to try L’Eau! I think Profumum Roma “Acqua Viva” might fit the bill. Notes are cedar, lemon, cypress and laburnum, with lemon the star of the show. I thought it lovely but a bit short-lived (on my problem skin, mind you). I saw Waterdragon namechecked it yesterday – she may be able to give a view? Oh, I need to try that one! Thanks. I recently tried AV. I thought it was pretty nice. Eau de Rochas by Balmain sometimes reminds me of a lemonade chypre with underlying mineralized notes. It’s one of my hot weather favorites. I actually blind bought a FB of this and I’m glad I did! This one really hit all my sweet spots. I too struggle with Tauers, the ones I dislike go instantly to migraine, and the ones I love are like bespoke fragrances, they work so well. I wonder if that’s a comon experience. Fortunately I love colognes, and Andy takes L’Eau to a whole new level, so much depth. Yup. Love it. Oh good, so glad you didn’t hate it if you already bought it! Can anyone compare this to Dior Escale a Portofino? I hope that’s not a rude comparison question if Andy checks in, since it is mainstream. I love Rose Flash and just wore it today. I agree with others– the Tauer’s that work for me aregarding really great. I am a still searching for my perfect creamy floral lemon, ideally with a vetiver dry down. The Dior was close but not quite floral enough. I thought Byredo Bal d’Afrique was it, but it turns out that my old sample smells nothing like the newer version (either due to reformulation or degradation). Sad, because my sample is perfect (the new stuff seems to be crazy heavy on bergamot, where my sample is all creamy lemon + flowers + vetiver). I bet Demeter Lemon Meringue layered with Philisophy Fresh Cream would be up to the challenge. Also, rumor has it that Boucheron is lemony creamy, but you need to ask chocolatemarzipan. I can’t remember the Dior well enough to help you, but IIRC it was more in a classic than modern mode — more like a classic cologne. This one is not, and also not floral, and also, not that creamy. This one took me a couple of wearings to grow on me and I like it. Similar impression with the chalky citrus-has a slight baby aspirin smell to me and I think I get more orange than lemon. I don’t think I could wear it on a 90 something day, though. I used to have a bottle of Roger & Gallet Cedrat Citron(pre-obsession)which I realky liked at the time. Yes — I found it more lemon, but if baby aspirin was lemon, they would have something in common! It sounds a little bit similar to Orange Star, with lemon instead. Really looking forward to trying it when it comes to Etiket in Montreal. I am a lemonhead. A complete lemon addict. I will wear lemon frags from all ends of the spectrum. From the finest niche right down to Pacifica and Mark by Avon. I simply love them all. Even those that many consider to be skreetch. I think I will make a Lemon Ricotta cake today. mmmmm.